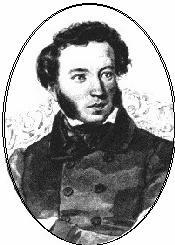 ﻿ Poetry Lovers' Page - Aleksandr Pushkin: "When Your So Young and Fairy Years…"
You are here: Home » Russian Poets » Aleksandr Pushkin » "When Your So Young and Fairy Years…"
ALEXANDR PUSHKIN: "When Your So Young and Fairy Years…"
"When Your So Young and Fairy Years…"
Are send to idols, void of sense. But bids to hide the sinful tracks. Try to forget the whole stuff. You still have one good friend of yours.